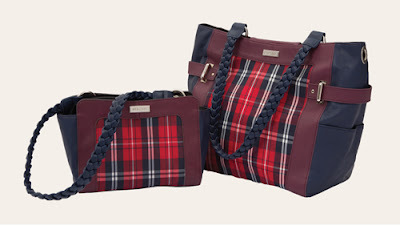 Plaid fabric in navy, black, white, bright red and burgundy with burgundy faux leather trim and navy faux leather side panels. Features rivet and hardware accents and burgundy strap details. Silver hardware. New navy braided handles are a perfect match.